The Dexibell value has been born by the desire to recreate, with obsessive fidelity, every single aspect of the real sound. To catch every possible interaction with wood, as a living material, and every small slight nuance delivered/performed by the musician’s hand. This ‘dream’, often considered impossible, is now reality thanks to a ‘real concept’ of 3 times Made in Italy. 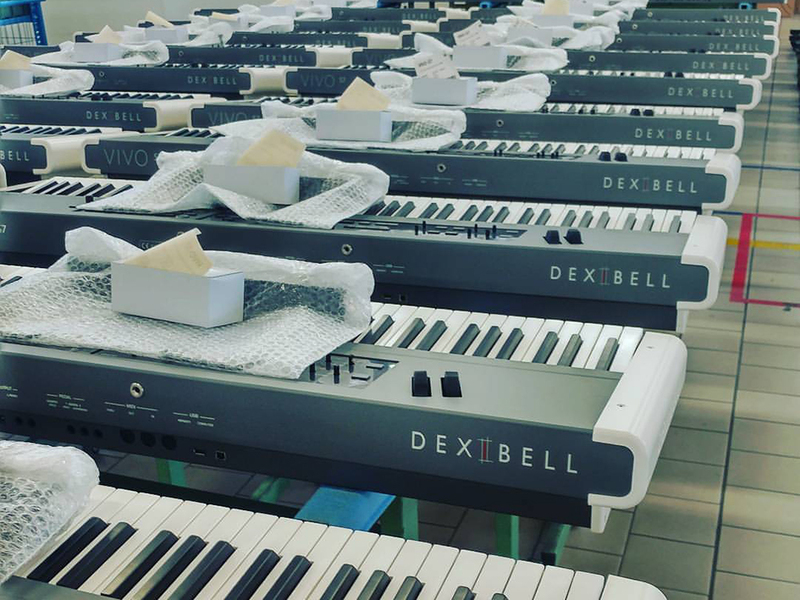 Each Dexibell digital musical instruments is researched, developed and manufactured in Italy by an Italian team of engineers, musicians and manufacturers working together for more than 25 years. Please consider subscribing to our newsletter to allow you to receive the very latest Dexibell news, with advance notice of product releases, software updates and other important news. Best Digital piano on the market...love It! Superb quality of sound...Great function...Great bulding quality! The Dexibell Vivo S9 unleashes world-class piano sounds and touch with thousands of additional digital downloads. Beautiful sounding instruments, hard to differentiate between them & an acoustic piano. The best touch I've ever experienced on a digital instrument, so inspiring! Thank you Dexibell. Thank you Dexibell fot the VIVO S3! This is the best playing and sounding weighted controller I have played. Super hi-fidelity sounds, great feeling action-super light!